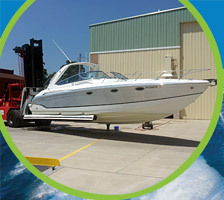 No need to winterize your boat. 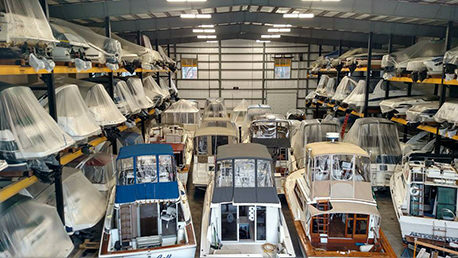 Let the team at Cheboygan Village Marina take care of everything for you. Keep it in our 35,000 sq. foot heated facility and spend the winter worry free - planning your next summer's fun. The indoor rack spaces are designed to accommodate a wide variety of lengths, widths, and heights. Please call us so we can give you an accurate quote and answer any other questions you have. Or click HERE for a quote, or fill out our contact form, and we'll quickly get back to you.